The 1st Forum Carpaticum dedicated to the “Integration of nature and society towards sustainability” was held in Kraków at the Jagiellonian University from 15 to 18 September 2010. 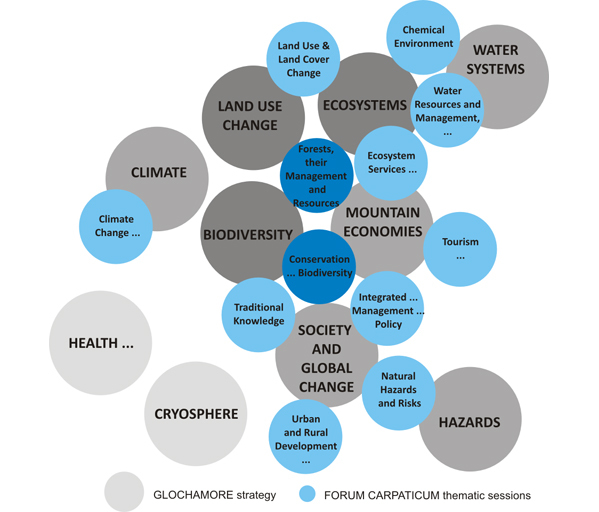 Twelve session topics of the Forum covered a broad range of disciplines in various spatial and time scales, and almost all topics from the Global Change and Mountain Region Research Strategy (GLOCHAMORE). Read more about Forum Carpaticum 2010 here.